Helen Marcella Fossum was born on November 13, 1912 at Niobe, ND to Victor and Julia Fleckten. She was the sixth of eight children. 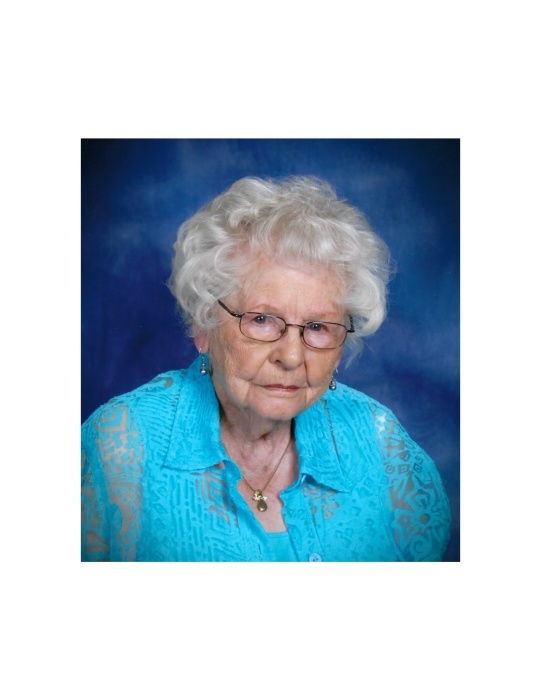 Helen was baptized and confirmed at Elmdale Lutheran Church, attended elementary school in Niobe and graduated from Kenmare High School in 1931. She then helped her father in their local store and in 1938 moved to Drayton, ND where she worked as a dental assistant for 8 years. In 1946, she moved to Los Angeles and in 1947 met Gus Fossum on a blind date set up by mutual friends. They were married on February 28, 1948. Gus had a 10-year old son, Don, from a previous marriage and in 1950 their son Curtis was born. Gus worked in the aircraft industry. They lived in Inglewood and Lawndale and in 1954 moved to Palmdale, where they lived for over 13 years. They joined St. Stephen’s of the Valley Lutheran Church soon after its founding. Active in her church and community, Helen served as Secretary and President of the Lutheran Church Women, a member of the Altar Guild and choir and taught Sunday School. She served on the Palmdale Elementary School PTA Board, volunteered at Swan Memorial Hospital, was a member of the Antelope Valley Hospital Auxiliary for over 20 years, President of the Palmdale American Legion Auxiliary, and in her 90’s volunteered at the Lancaster Senior Day Care. In 1968 Gus and Helen moved to a house in Lancaster where they lived for 22 years before moving into an apartment. Gus passed away in 1999 and in 2004 Helen moved into what is now Brookdale Assisted Living, where she passed away on Sunday June 25th. Helen loved both family and friends, and made friends wherever she lived. She loved to visit with and entertain people, both long-time friends and folks she just met. All who met Helen knew she had a special warmth of heart and was welcoming and gracious to everyone she encountered. It was truly a remarkable gift that she retained her sense of humor into her 104th year. Helen was preceded in death by her husband (Gus), parents (Victor and Julia Fleckten) her three brothers (Arthur, Clifford and Chester) and four sisters (Ruth Neve, Lillian Bechtel, Linnea O’Gordon, and Amy Oakes). She is survived by her son Curtis and wife Susan (Sacramento, CA), step-son Don and wife Carol (Puyallup, WA), 5 grandchildren, 3 greatgrandchildren, and many nieces and nephews. Grandchildren: Randy (Karen) Fossum of Kingston, WA; Sonja (Kevin Dahl) of Puyallup WA; Becky Fossum of Puyallup, WA and La Quinta, CA; Matt (Nicole) Fossum of Sacramento and Joseph (Amanda) Fossum of Sacramento, CA. Great grandchildren: Gabe Fossum (Kingston, WA), Eric Dahl and Jessica Dahl (Puyallup, WA). Memorial gifts in her honor may be made to St. Stephen’s of the Valley Lutheran Church, Lutheran World Relief or a charity of your choice.